It is a telephone exchange that serves a particular business or office, as opposed to one that a common carrier or telephone company operates for many businesses or for the general public. PBXs are also referred to as PABX – private automatic branch exchange and EPABX. 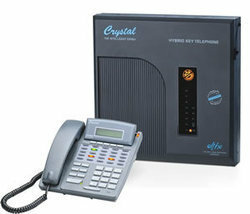 It is equipment that has made day-to-day working in the offices much simpler, especially in the area of communication. We feel proud to introduce ourselves as a leading company that is offering EPABX System. 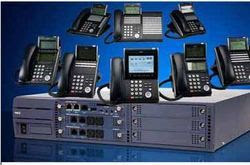 We are engaged in offering superior quality range of Accord Telemagic EPABX to our most valued customers. Highly versatile and flexible PABX system to increase efficiency and add comfort at your home. Our offered range of Accord Telemagic EPABX is an ideal communication system for small home and offices. Accord communications ltd. Suits your needs in this competitive market by provided the feature is and promising quality products. Its configuration ranges from 309 (three trunks & nine extensions) to 412 (four trunks & 12 extensions) a pbx that facilitates an easy check and control on all calls. We are the supplier of EPABX System. We suply according to the csutomer requirement.